This edition of the Festival is over and giving you appointment for the next year we remind you that VIE is moving in Spring 2012! This QR code contains a direct link to the homepage of the mobile site of Vie Festival. The code can be read by an application (QR Reader) on your handy or smartphone and allows fast access to the Festival's program. 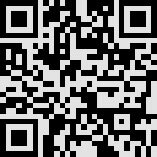 Further information: Wikipedia, QR Readers. Webagency: Web and More S.r.l.